As Senior Pastor of Union Grove Baptist Church, Pastor Harris provides leadership and guidance for the church as a whole. His primary responsibilities are preaching, directing the staff, overseeing the work of the Church, and inspiring the church to move forward with excellence and purpose. Pastor Harris returned to Union Grove in September of 2001. Pastor and Mrs. Harris both grew up in Davidson County and as members of Union Grove Baptist Church. Pastor Harris preached his first sermon at the age of fifteen during a Watchnight Service at Union Grove. After graduating from Kerwin Baptist Christian School in Kernersville, NC in 1982 he attended Tennessee Temple University earning a Bachelor of Religious Education Degree with majors in Pastoral Studies and Missions. In 2012 Pastor Harris earned a Master of Theological Studies and is currently pursuing a PH D in Theology. In 1987 he was called to serve as the Assistant Pastor of Union Grove. In 1995 he accepted the call to serve as a senior pastor in Chatham County, NC where he served for 6 1/2 years prior to returning to Union Grove. Since 2001 God has blessed Union Grove with steady growth making it necessary for the church to purchase 30 additional acres to build a new 800 sanctuary and sunday school complex. 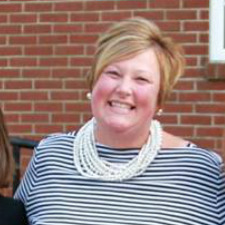 Pastor Harris also serves as President of Union Grove Christian School, a ministry of Union Grove Baptist Church, with an enrollment of over 470 students and approximately 60 full-time and part-time employees. 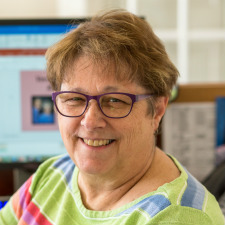 Pastor has served as a trustee at Piedmont International University in Winston-Salem, NC, and as a council member of Baptist Mid-Mission in Cleveland, Ohio. T.W. Bailey grew up in the small town of Stoneville, NC. After receiving Christ as his personal Savior at the age of 22, he felt the call of God on his life. 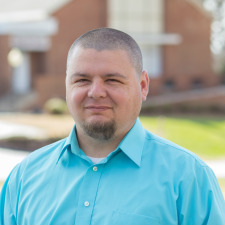 He attended Piedmont Bible College and earned a ThB in Theology with a Youth Minor. At Piedmont Pastor Bailey not only found God&apos;s will for his life but he also found his wife Michele. He was called to Union Grove Baptist Church in 1990 to train under the Youth Pastor on staff at that time. The church has always had a burden to reach teens with the gospel, and encourage them to serve the Lord and the church. After training for six months Pastor Bailey was called as the new Youth Pastor and served in that capacity for 13 years. The Lord blessed T.W. and Michele with twin boys Joshua and Joseph while serving at Union Grove. He was called to be the Assistant Pastor under Pastor Harris in 2003 and leads the Pastoral Care/Outreach ministry of the church and ministers to the congregation of Union Grove Baptist Church in many other ways. I am a husband, father, teacher, and disciple of Jesus Christ. I believed in the Gospel at the age of 16. I knew that my hope of finding life and forgiveness was found in the work of Jesus Christ. I graduated from Piedmont International University in 2011 with a B.A. in Christian Ministry and two Minors in Counseling and Pastoral Studies. I married the love of my life in April of 2012. Morgan has encouraged and motivated me to be the best man I can and has truly been the backbone in my life. On July 16, 2014 we had our first child, named Judah. He is an unfathomable joy in our family. God called me to Union Grove Baptist Church in September 2014. I am pursuing an M.Div in North American Church Planting at Southeastern Baptist Theological Seminary. Grady James grew up in Davidson County. He was saved in March 1970. He became a member of UGBC in 1972. He met his wife Shirley at Union Grove and they were married in June 1976. The Lord blessed Grady and Shirley with 2 boys, Eric and Daniel. They grew up in Union Grove and graduated from UGCS. 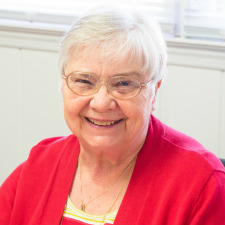 Grady began serving as the Junior Church Pastor in July of 1979 under Pastor Fletcher’s ministry and has continued to faithfully serve under Pastor Harris’s ministry. The Union Grove Children’s Church is for 1st thru 6th graders. Every Sunday a service in Children’s Church is conducted just like the one in the Sanctuary. A Children’s Church Service includes: a choir, congregational singing, prayer request with prayer, special music (which the children participate in), ushers, offering, preaching by Pastor Grady, Birthday Box, Missionary Story, Prizes and a Children’s Church Bulletin. The Children’s Church is currently supporting three missionaries each month. They are the Winston-Salem Rescue Mission, Tabernacle Children’s Home and AMG Ministries. Harold Fletcher was born and raised in nearby Forsyth County. He graduated from Mineral Springs High School in 1953. Harold accepted Christ as his savior at the age of 22 while attending the Hollow Road Baptist Church. After being called by the Lord to preach in 1959, he began attending Piedmont Baptist College. In September of 1963 he was asked to preach for a service here at Union Grove. With the present pastor needing to retire due to bad health the church voted to call Brother Fletcher as their next pastor. On the first Sunday of October 1963 Pastor Fletcher became Union Grove’s 10th pastor. Under Pastor Fletcher’s ministry the church experienced not only numerical growth, but also was able to build the buildings that house the entire present ministry. Pastor Fletcher also had the vision and desire to begin the Union Grove Christian School in 1975. In October of 2001 Pastor Fletcher retired from his ministry after 38 years. Though retired, Dr. Fletcher has continued serving the Lord through his preaching ministry. Bob was saved in January, 1982 under the ministry of Pastor Bud Calvert and the Fairfax Baptist Temple in Fairfax, Virginia. 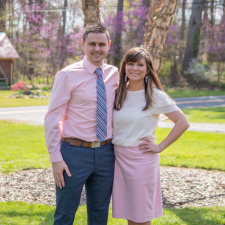 Shortly after his salvation Bob felt led to leave FBT to assist in establishing a brand new ministry in Pennsylvania; the Valley Forge Baptist Temple under the leadership of Pastor Scott Wendal. 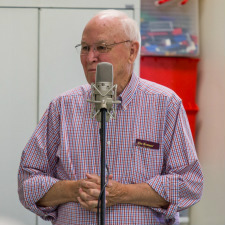 Being a small, beginning ministry, and with no formal music training himself, Bob volunteered as music director where he continued to serve for the next twelve years. 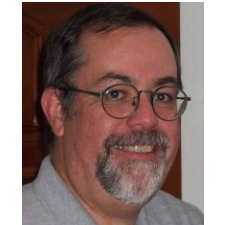 In 1997, after being blessed with the opportunity to be a part of a successful ministry which had grown to approximately 650, Bob decided to move to back to North Carolina to be near his parents and other family members. 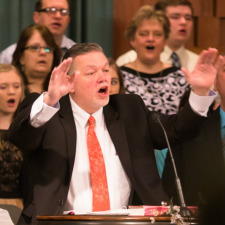 Bob and his family joined Union Grove Baptist Church in the fall of 1999 where he served in various ministries including the adult choir and leading a teen choir. 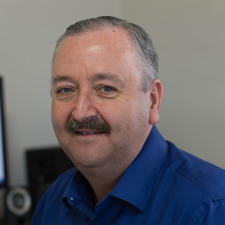 When the position of Music Director opened in August, 2004, Bob graciously accepted the tentative position which shortly thereafter became permanent. Judy was born in Alton, Illinois. She grew up in a Christian home and had a grandmother that was a big influence in her life. Judy got saved at the age of 8 when her Sunday School teacher at Brown St. Baptist Church led her to the Lord. She then married Joe Ivester, her high school sweetheart. The Ivester&apos;s have 2 sons. Because of Joe&apos;s job, they have been transferred 7 times and have been able to serve the Lord in different churches and in different ways. In 1999, Joe and Judy returned to Lexington and to Union Grove Baptist Church to serve the Lord. 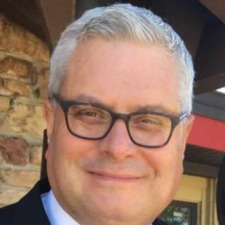 Peter Steinhaus joined the staff of Union Grove Baptist Church in August of 2003. He was raised in a Christian home and received Christ as his personal Savior at 7 years of age. After graduating from Maranatha Baptist Bible College in 1983, God led him to Troy, Michigan to serve in a Christian School ministry. It was in Troy, Michigan that he met his wife Sherry and they were married in 1987. God has blessed their marriage with two daughters, Rachel and Allison. 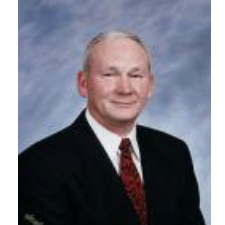 In 1987 he began serving the Lord in Ypsilanti, Michigan as a Bible teacher and assumed administrative duties in 1990. During his ministry in Ypsilanti he began to work on his master’s degree. In 1994 Peter completed his Master of Science in Educational Administration degree at Pensacola Christian College. 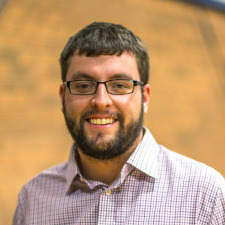 After serving the Lord for 16 years in Ypsilanti, Michigan God led him to join the staff at UGBC as the administrator of Union Grove Christian School. Dan Hightower was raised in Atlanta, Georgia. He accepted Christ at the age of 8. The Lord used a friend during his high school years to recommend Tennessee Temple University where he enrolled as a freshman in 1975. It was during his time at Temple that he met and married his wife Becky in 1977. Becky is from East Point, Georgia, a suburb of Atlanta. Dan graduated from Tennessee Temple University with both a bachelors degree and a Masters in Educational Administration. 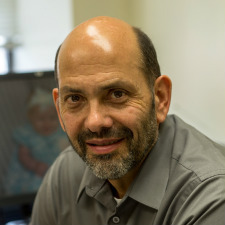 Dan came to Union Grove with over 25 years of full-time ministry experience. Becky is a Dyslexia therapist and teaches piano and organ. Dan and Becky have two grown children, Rachel and Jonathan. Rachel and her husband Brent have a one daugther named Jana. Jonathan and his wife, Whitney, have 2 boys, Drew and Wyatt.